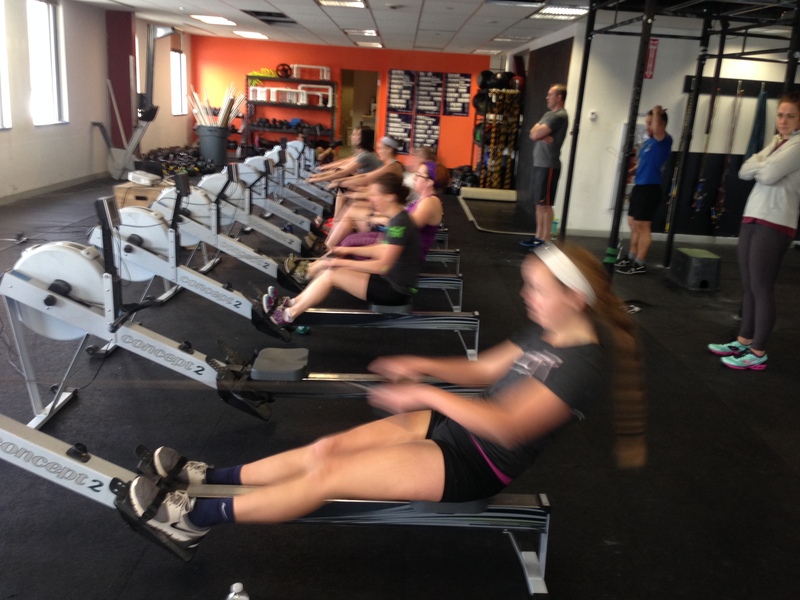 Abby getting after it at the Renegade Rowing League last Saturday! With our first 2k of the winter in the bag and Christmas upon us, this is a great opportunity to focus on a few tactical aspects of the 2k and get in some solid race pace work before the holiday. Try to keep a consistent pace over all 8 or “negative split” toward the end if you’re feeling good. Negative splitting means you pull a faster split than you did the last piece. This entry was posted in Rowing and tagged endurance sports, exercise, functional movements, mental toughness, row 2k, rowing, sports, training by Renegade Rowing. Bookmark the permalink. Pretty happy with that. I kept with my initial gameplan. Will set my parameters higher (or technically lower) next time for a better overall time. Good workout Coach! Merry Christmas my friend to you and Miss Alex!!! Awesome Larry! Way to finish strong. I know you’ll make it more consistent next time. Merry Christmas and Happy New Year to you and the Family! This one was fun! Tried to settle into a maintainable pace for each piece, then took it up at the end for the last one. Solid Nick! Good execution and awesome sprint! Hope you guys had a fun holiday! Generally pleased; average split coming down & s/m going up. Need to continue to work on ability to negative split. A little late on the upload. I like the awareness and focus. Keep working hard Terese! Love seeing you crush it!